Home Middle EastDubai Is Rossano Ferretti the Luxury Salon Dubai Has Been Waiting For? Despite being a town with a seemingly endless supply of salons dolling up the desert’s glamorous people with insta-perfect perma-blow drys, we’ve struggled to find a salon that delivers a truly chic experience in Dubai. Enter one of Dubai’s newest arrivals, Rossano Ferretti. 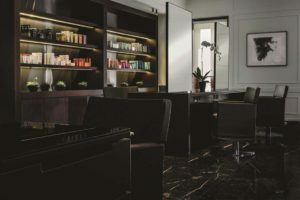 The Italian stylist already boasts branches in such world class locations as Beverly Hills and the Maldives (in the Four Seasons Landaa Giraavaru, no less), and now they have added Jumeirah to that list (coincidentally, right next door to the Four Seasons Jumeirah). A gorgeous two-story white villa has us impressed from the time we roll up – not an ounce of Dubai-schtick to be seen. 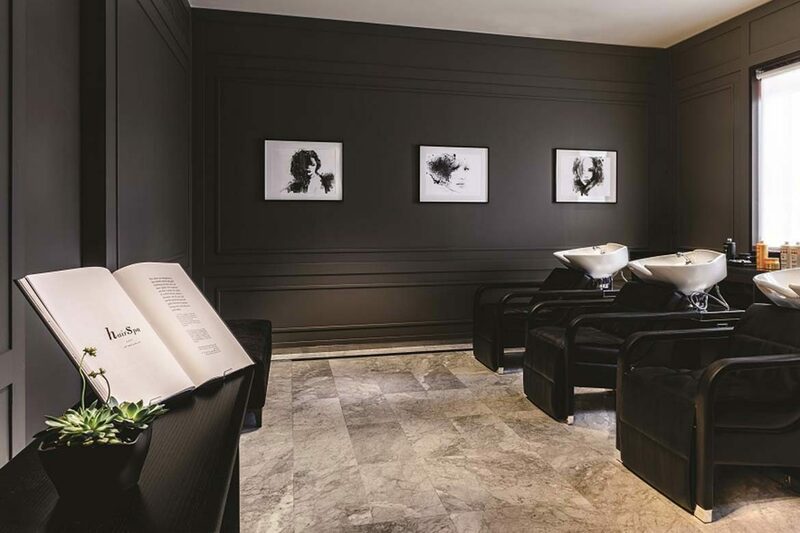 Inside, it gets even better…it’s NYC-chic, with brownstone styling in dark hues…all black, greige, marble floors and rich deep brown leather. (Can we say right now, we’d happily live here.) Even the colour-organised shampoo display has us lusting over their aesthetic. After filling in our questionnaire, our stylist, Donna, takes us upstairs to get the ball rolling. We select a suitably ashy, white swatch as our goal and hope that Rossano Ferretti Dubai can deliver the result many promise, but very few deliver here in a town where most people have dark hair – when you move to Arabia, you discover that finding an amazing blonde colourist is like a finding a needle in a haystack. Hay is exactly what our hair was feeling like before our appointment at Rossano Ferretti, but thankfully Donna has a remedy for that too, adding some miracle Olaplex into our colour to undo some of that Dubai water damage. No corners are cut when it comes to applying layers upon layers of foils to our hair (Donna advises this will give a far more natural result than going full head bleach, which let’s be honest, we were prepared to do for the sake of beauty – even though it’s so irritating to the scalp). The many, many fine highlights give that full-head look without any of those nasty lines as it grows out. What impressed us further that was Donna removed the highlights in five different sections, ensuring every section was developed properly given that they all were applied at different times in the appointment. This attention to detail really surprised us, as it’s not something we’ve seen often at all in 15+ years of bleaching. The result? A stunning outcome, returning our brassy, Dubai sun and water damaged hair to it’s former platinum glory – all while relaxing in surrounds as gorgeous as the result. 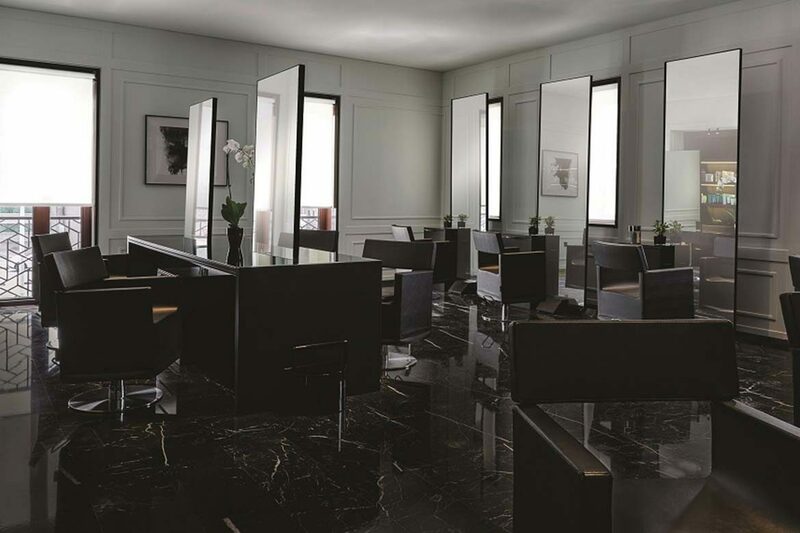 After countless poor experiences in salons in Dubai (and usually in horribly dated environments while doing so), we’re over the moon about the results Donna & Rossano Ferretti are delivering. 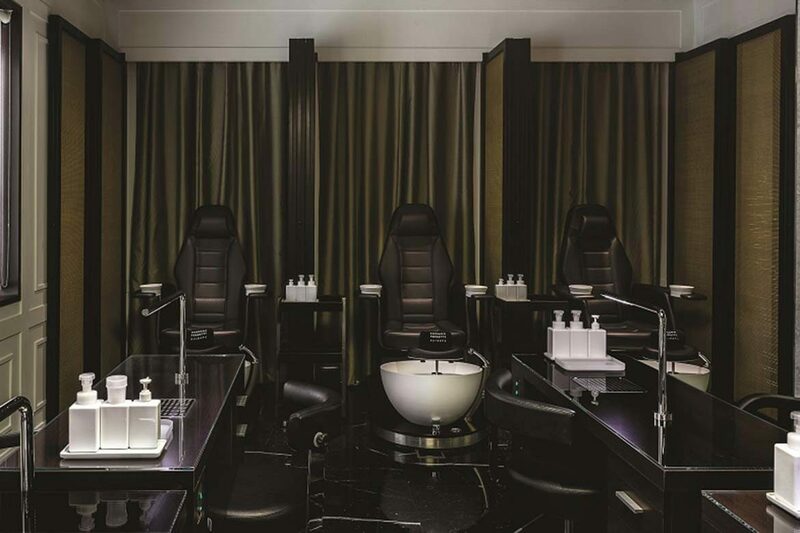 At prices on par with most boring, slightly cringe worthy Dubai salons, this is an experience that really ticks all the boxes. 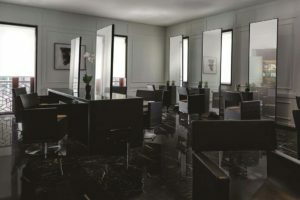 We already know we’ll be back – and if you’re a blonde in Dubai seeking a result you won’t be crying in the car over on the way home, then we think the world class Rossano Ferretti needs to be your next stop. We’re already booking for our next appointment.